Today’s Lesson (Sat 30 July 2016 ) discusses useful everyday topics such as what type of water is permissible for you to perform ablution and other purification and when this can change into unusable water. The Lesson also opens up next chapter’s topic on permissible and impermissible utensils (e.g. cups, bowls as well as utensils made from animal skins). 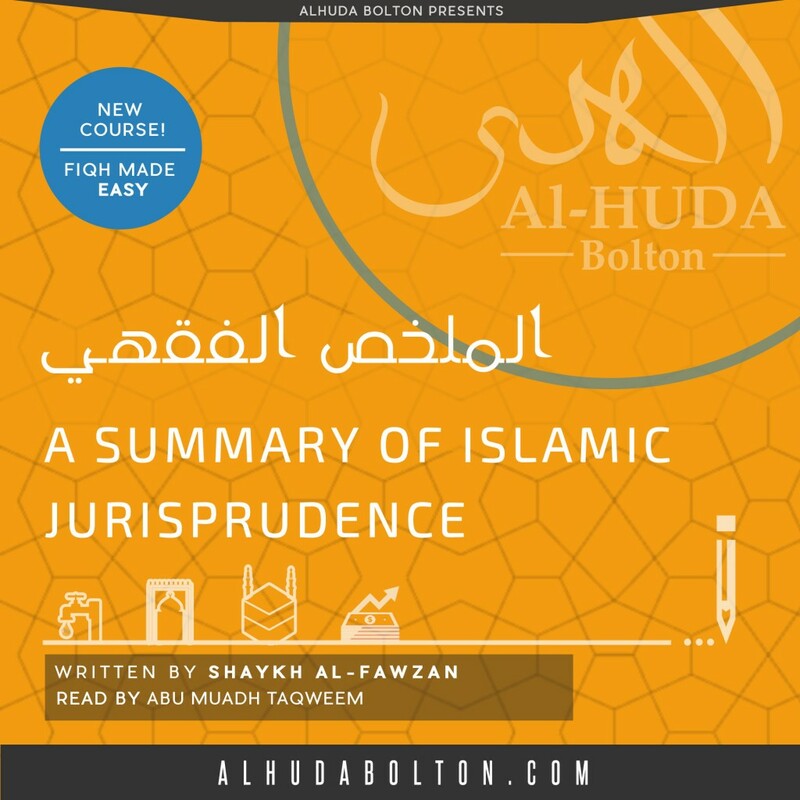 We have started a new course on the book “A Summary of Islamic Jurisprudence” by Shaykh Salih Al-Fawzan with Abu Muadh Taqweem. The Lessons take place every Saturday at 6:30 PM in Alhuda mosque.The course aims to make fiqh easy by providing ordinary Muslims with a simple-to-understand knowledge of Islamic jurisprudence (fiqh) on various topics including the rulings on purification, prayer, trade and business, renting etc. All brothers and sisters are invited to attend. The course is also an excellent way for children to gain a good understanding of the rulings on everyday matters in Islam.